Rita Teng was born on December 1,1931, in Chia-Yi City, Taiwan. She was the second oldest daughter in the family. Her father was Chen Kun-Lu and her mother was Chen Chang Kang. In 1951, Rita married Win-Seng Teng. Together, they had two daughters, Lee-Hui and Lee-Jene, and one son Ding-Tai (Paul). In 1975, Win-Seng passed away at the age of 46. By then, all their children had grown up, and Rita immigrated to the United States in 1977, initially staying in Chicago with her sister. After Paul married and settled down on the East Coast, Rita moved to join Paul and his wife, Jenny, and helped raise two grandchildren. While Rita lived in New Jersey, she attended Long Island Mission Church, and later on, Fair Lawn Community Church. She loved to travel and has visited a number of countries including Brazil, Israel, Greece, Turkey, and several other European countries. 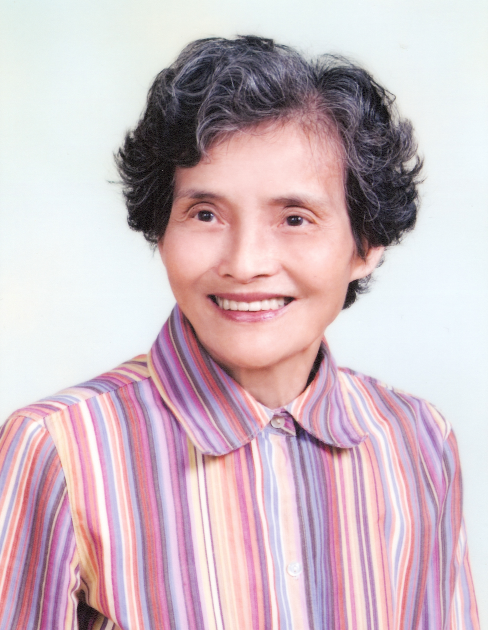 Rita was at her happiest when she would get together with her brothers and sisters in Christ. In addition to her children, Rita had six grandchildren, four from her daughters and two from her son.